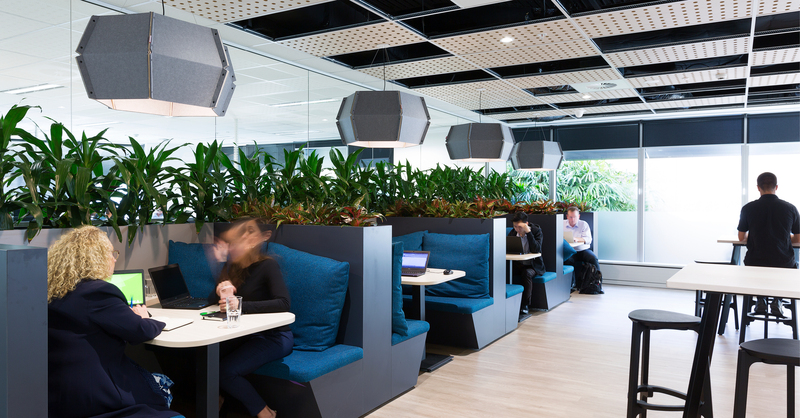 Arq Group – which is growing by a quarter each year – needed workspaces in Sydney, Melbourne and now Brisbane, adaptable to their expansion. The company has been on an acquisition spree in recent years adding to this growth, so it was important to reflect these changes, with a number of additional services going beyond simple domain name hosting. 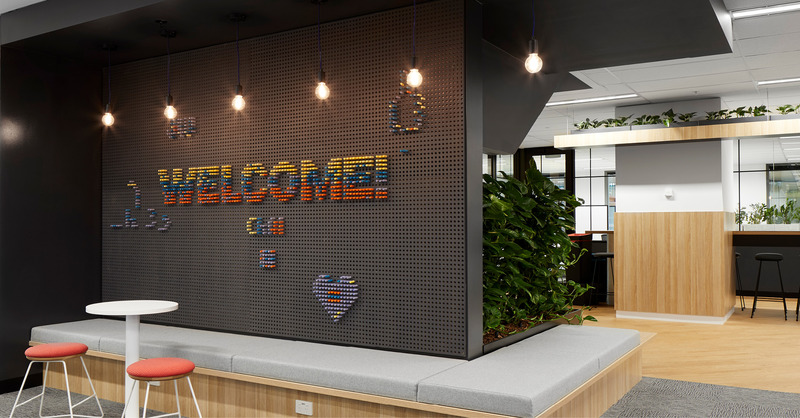 Amicus has been working with Design Partner Hot Black to translate this foundation into a practical direction for the strategy and design of the work environment into not only the recently completed Sydney and Melbourne projects but also all future locations. 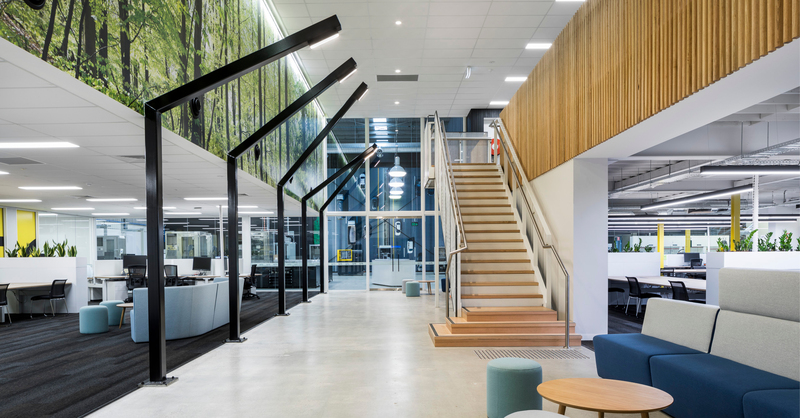 Arq Group wanted spaces that helped people to connect with each other, that brought information to life and that promoted their people's sense of wellbeing and belonging. Through an in-depth study with our Workplace Strategy Team, we co-created a set of 10 design principles which guided the development of the office space. 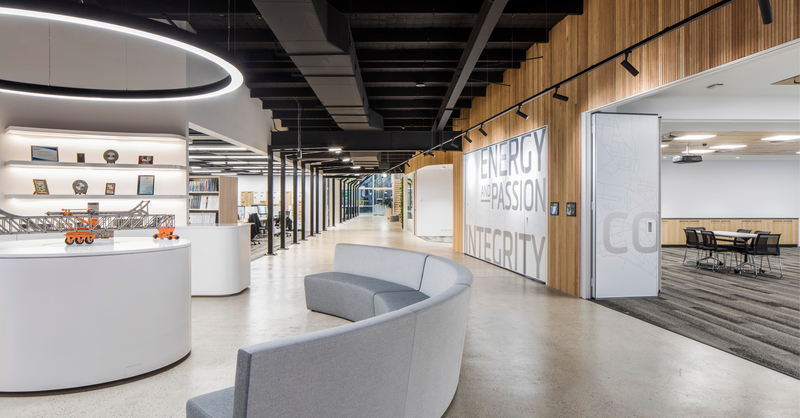 Those principles included; taking the "One Arq Group" approach to design across all offices promoting movement and openness with diverse work settings and inserting home-like features into the design. 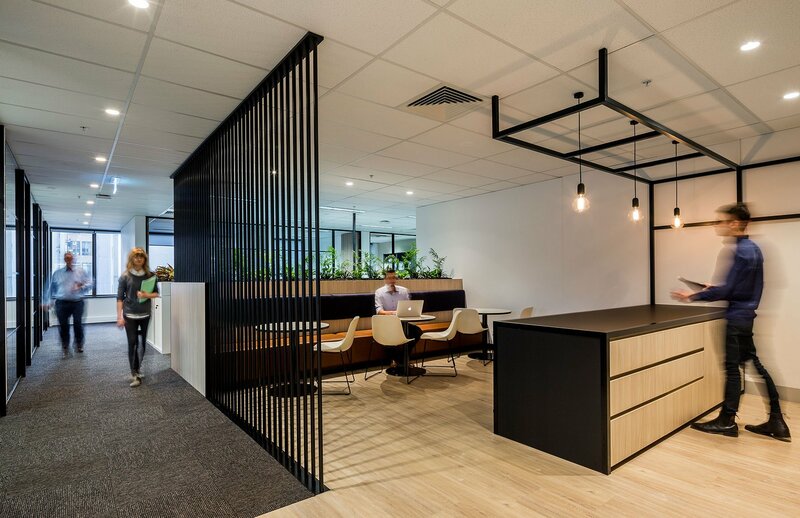 Amicus and Arq Group continue to work together into 2019 with things ramping up with their Brisbane workplace transformation. The Dimension Data Sydney Head office had been in a heritage building in the Rocks for over 19 years when Pete Murray, Regional Director realised it was time to embark on a journey to change their culture and to become more collaborative, supported by state-of-the-art technology with a focus on ‘mobility and cloud’ first. Concurrently Dimension Data decided to relocate their 6,000 sqm to Darling Park. The new tenancy boasted over 4 floors, a large central atrium with stairs and dedicated lifts. 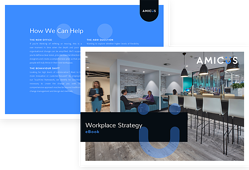 Amicus were engaged to deliver an end to end workplace strategy and fitout solution with partners Aston & PTID. The new facility is now fully agile with multiple workplace options that facilitate collaboration. Equally critical to the cultural impact of physical design are the supporting IT technologies. The new space welcomes employees and visitors with an executive reception area and partner floor complete with large social kitchen and multiple meeting and training room styles. There is one large kitchen and balcony area for staff to share during meal and celebrations, revolutionising the connection and collaboration between business units. The new design has seen a space saving of 14.3% for Dimension Data while providing 25.2% more workspaces and increasing capacity by 43.9%. According to Dimension Data the combination of these factors has resulted in savings of $1.04 million per annum. Amicus are currently working with Dimension Data on both their Melbourne and Brisbane projects due for completion mid 2019. Watch this space! The environment has been designed to be dually functional, effectively utilising the space to its best advantage. The impact of efficient service and space optimisation has already been huge with teams previously not interacting, now working cohesively and collaboratively. "Our aim is to build towards a connected mobility future for all Australians, and this new facility will allow us to provide enhanced, cutting-edge research to governments, road agencies and academia on all aspects of roads and transport,"